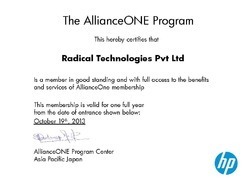 We "Radical Technologies Private Limited" from 1985 are Authorized Retail Dealer, Manufacturer, Wholesaler and Trader of Server Storage Products. Offered selection of products consists of superior quality HP Server, HP Server Processor, HP Server Hard Disk, HP Server RAM, HP Server Raid Controller, IBM Server and many more. Our provided products are made using top grade material with following industry standards at vendors end. The offered products are appreciated owing to high strength, premium quality, attractive functionality, and smooth performance. Apart from this, we are offering after-sale service to our valued clients. We have a long list of vendors to offer this high-quality assortment of products. We have selected these vendors after verifying their product quality and legal status. Our vendors offer us the best grade product and increase our position in the market. We have a large warehouse, which is used for storing the products proficiently. To dispatch products at client place within limited time, we have a large distribution network. Under the constant supervision of our mentor Mr. Gurudatta Acharya, we have been able to achieve top position in this domain. Due to his valuable direction, we cater the exact need of our clients. We are a distinct and famous company to provide the server storage products to the customers. All our offered products are designed using pure quality components as per the set quality norms. We are offering these products within the limited time span as per the client’s demands at budget-friendly prices. We are offering quality approved server storage products to our valued patrons. All the offered server storage products are checked against diverse quality norms by our vendor's end. Our authentic and certified vendors are making use of ultra-modern machines and tools to manufacture the offered range of server storage products. 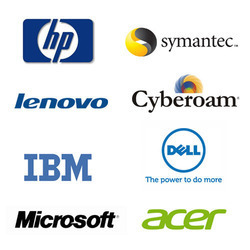 These vendors are well known about our client's specific needs. We always try to deliver the best quality server storage products to our clients to maintain our client oriented image in the market. 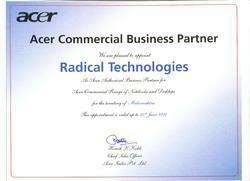 We have hired a team of experienced and talented professionals. They are hired after a deep research and previous working experiences through preset selection procedures. To keep pace with the modern market trends, we provide training and seminars time to time to our team. Apart from this, our team is working very hard and ensures the productivity of the organization as well as individuals.